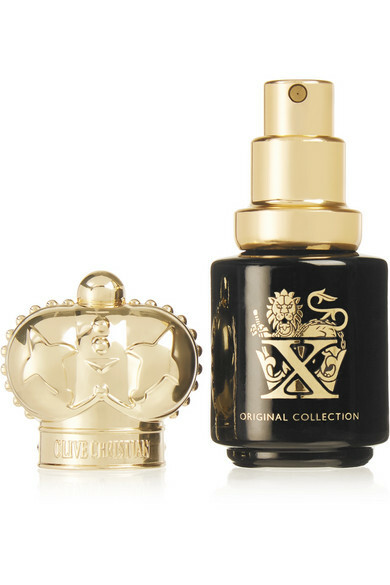 - 3 x 10ml/ 0.34fl.oz. 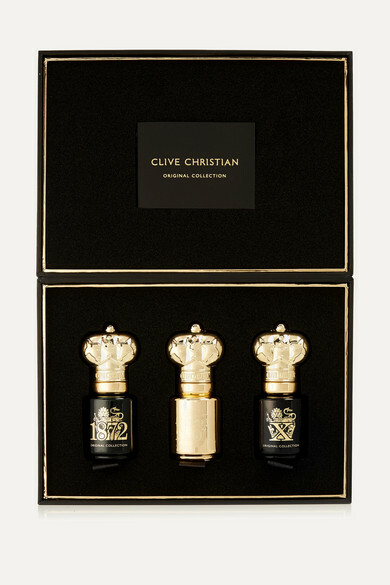 Clive Christian's Eau de Parfums are expertly crafted with the rarest, most precious ingredients – the British brand believes that fragrance is an art form akin to music and painting. 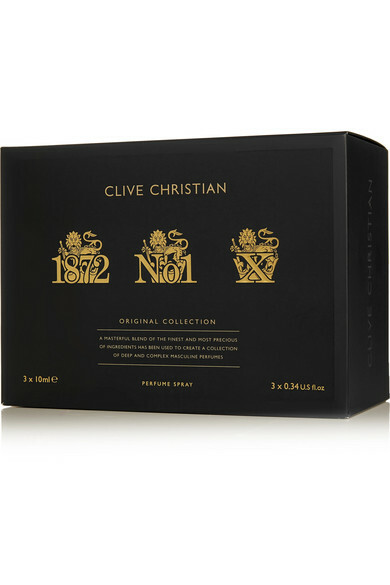 This set features three 'Masculine' scents from the signature 'Original Collection' and are the perfect combination of citrus, Oriental, spicy and woody notes. Housed in gilded glass vials and packaged in a designer-stamped presentation box, it makes a thoughtful gift.